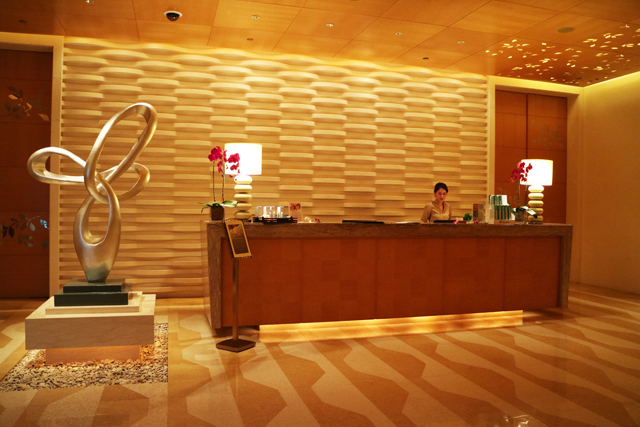 The Four Seasons hotel spa is luxurious haven located inside the hotel. 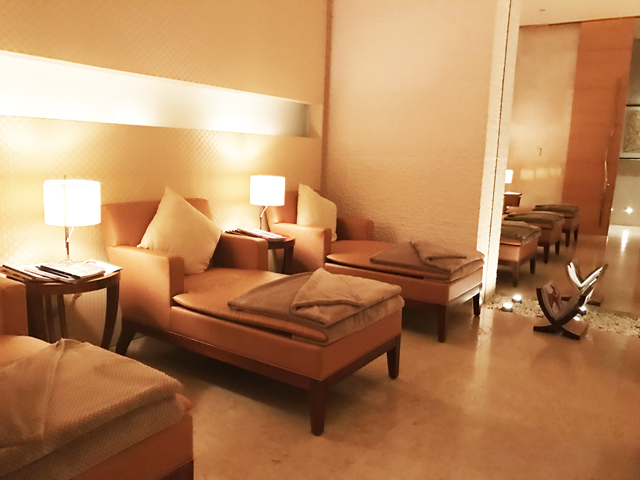 In warm tones of gold and brown, this serene space offers a range of pampering treatments, such as facials, massages, and signature rituals. 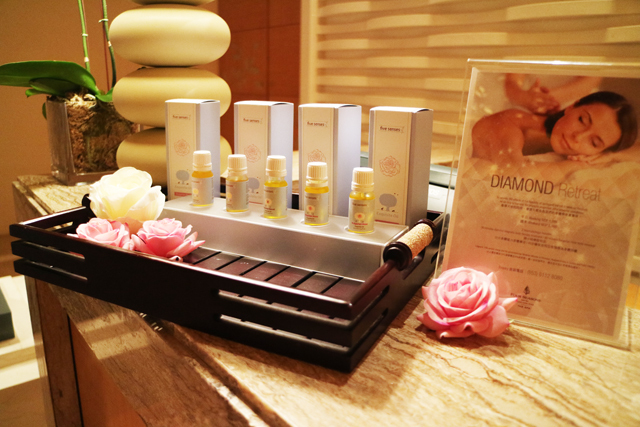 I decide to try the hotel’s new treatment called the Diamond Retreat. 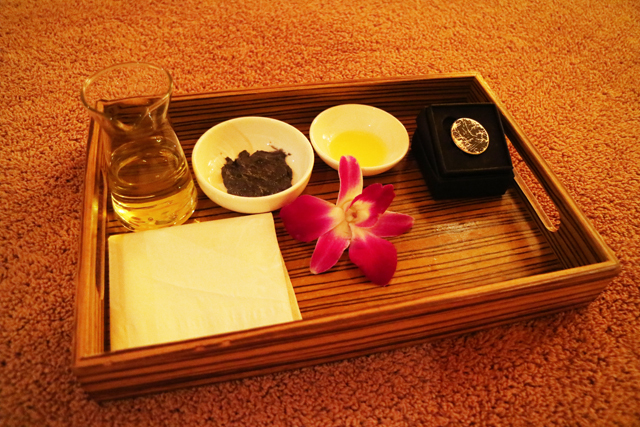 The hotel spa uses massage oils from Five Senses, which is a brand offering 100% certified organic products. 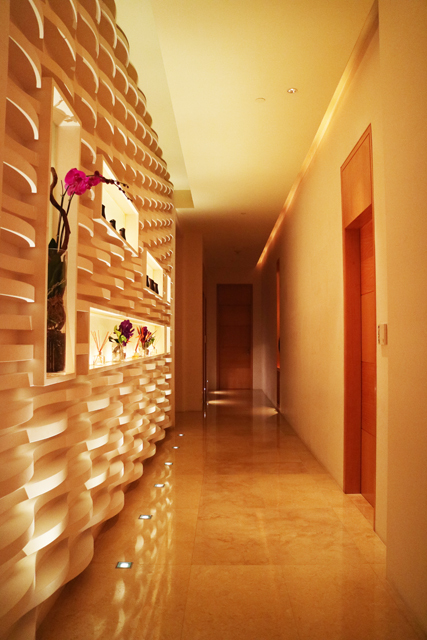 With marbled floor and gentle lighting, the spa exudes an air of opulence. 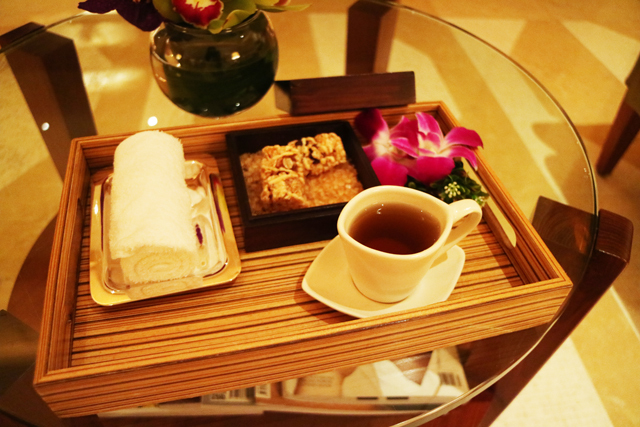 Before my treatment, I am offered a sweet and some light snacks. This snack bar with nuts is delicious! 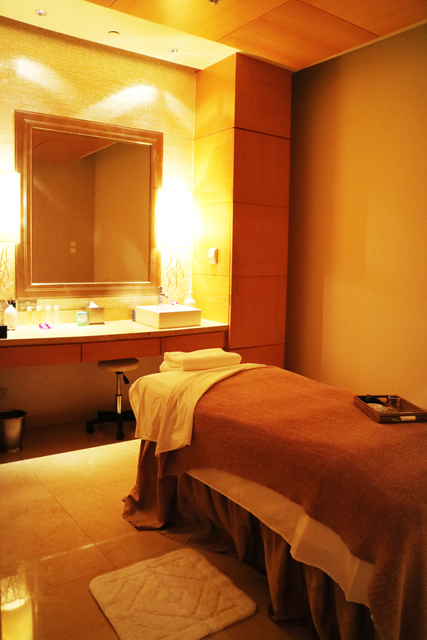 The treatment room is spacious, and the bed is ultra comfortable! This Diamond Treatment is very interesting. The scrub for the treatment has magnetic beadlets in it, which apparently can exfoliate your skin as well as improve blood circulation! The scrub is applied all over the body, and then a piece of magnet is used to remove all the magnetic beadlets from your body. 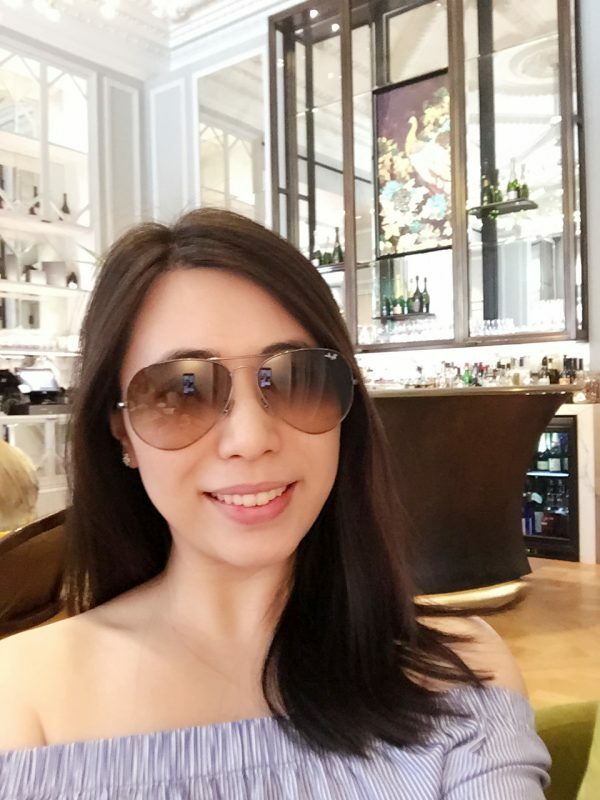 This extraction process gives my skin a tingling feeling, and makes me really sleepy! After applying the body scrub, the therapist then gives me an oil body massage. 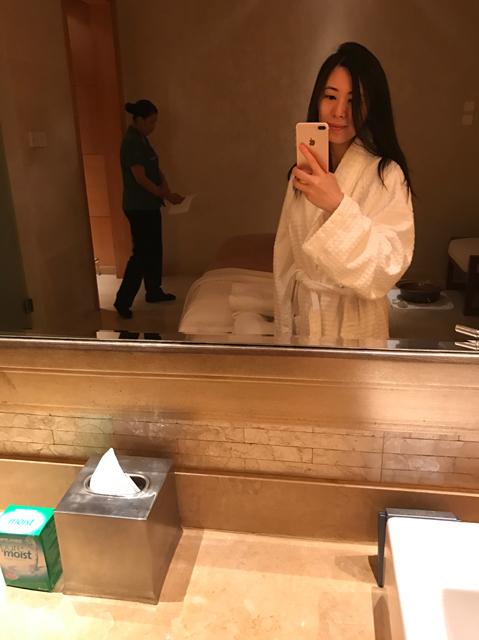 The treatment takes around 1.5 hr to 2 hrs, and afterwards, you can spend as long as you wish at the hotel’s swimming pool and jacuzzi area. This beautiful reading room is open to all hotel guests, not just the spa’s customers. This is the perfect place for reading lifestyle magazines and falling asleep! 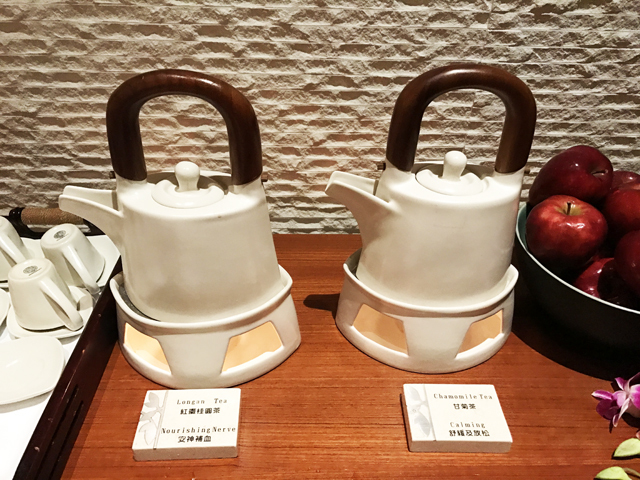 There are many soothing drinks and herbal teas at the jacuzzi area, including a sweet Longan tea and a chamomile tea.